Unlike human memory capable of holding an infinite size of memory, iPhone and iPad have a limited memory that easily fills up with videos, music, pictures and applications. Unfortunately, there’s no chance for upgrading your device space. 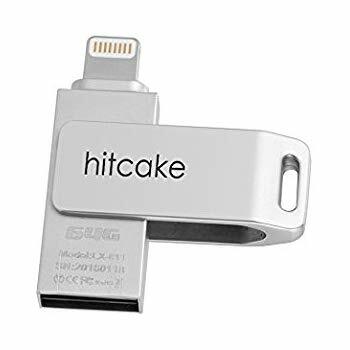 To enjoy backup, seamless transfer of files from your iPhone or iPad to another, having a flash drive that satisfies your purpose is an accessory you should get. 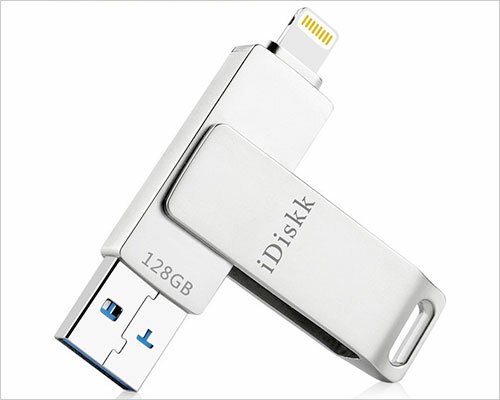 The market is fully saturated with loads of iPhone and iPad flash drive. You might want to go for just any. Note that like not every good-looking shoe will fit, finding a drive that fashions transfer so swiftly and a bang for the buck isn’t a child’s play. Here we have done enough research and have come up with the best flash drive for you. Let’s consider why you should consider getting one. Why Buy A Flash Drive with Seamless Transfer Quality? iOS compatible drives have seen great improvement from what they used to be. Drives have proved to be especially very important when accessing large files, backup of files and transfer of files. Since storage upgrade is impossible on the iOS platform, these accessory looks more than important. Want to enjoy a drive which provides all the necessary connectors and adapters in a device? iClique promises that. iClique promises complete control of file management. 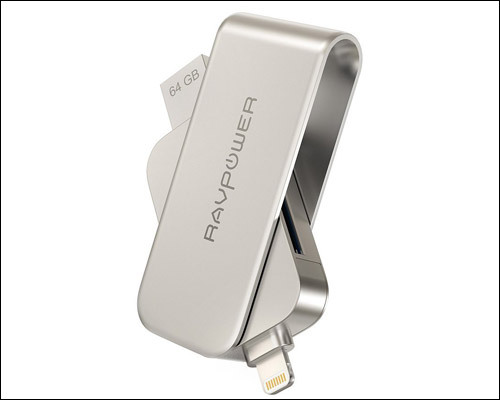 What makes it stand out as an iPhone/iPad flash drive is the USB 3.0 data transfer speed. Coupled with spaces for TF card SD card, you enjoy a very fast transfer of files. You also stand to enjoy lightning connection with your iPhone/iPad and PC. Available in ranging sizes: 16GB, 32GB and 64GB. The topping? 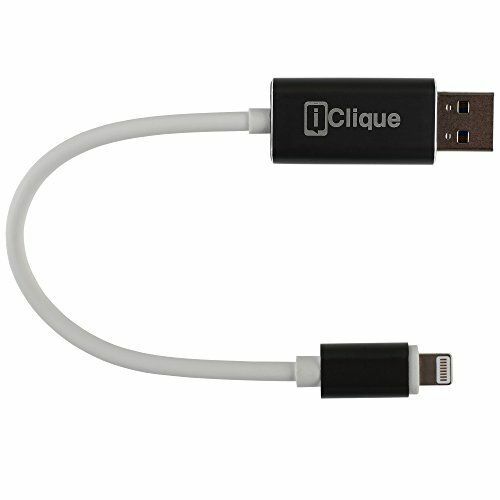 You can enjoy using your iClique drive with Android devices. At the point of writing, it costs $39.99 on Amazon. Check out its review on Amazon, then you’ll understand why iXpand has made its way here. 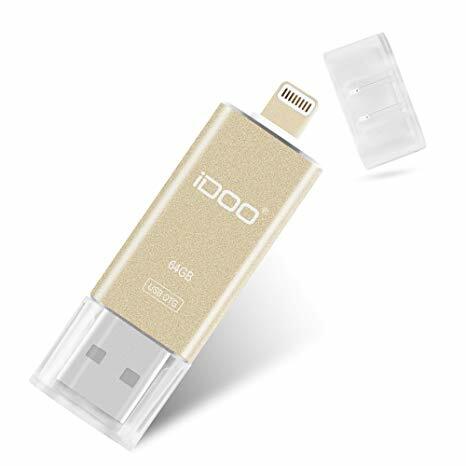 iXpand is a dedicated flash drive that uses the Lightning connector for your iPhone and iPad. 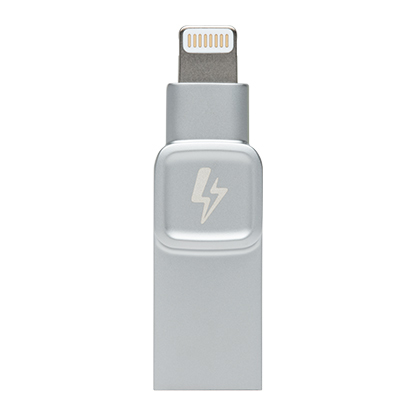 The lightning connector allows connection of the iPhone lightning port to all case. Not having the most amazing design, it is very reliable with possible spaces ranging from 16GB to 128GB. Boosting of data transfer at over 13 MBps, all thanks to the USB 3.0 port. It stands out from majority of drives as it automatically backs up files once it’s connected. Another feature that stands it out is the iXpand Drive app. The app allows for direct download into iXpand directly. At the time of writing, 64GB costs $58.25 on Amazon. A beauty of a flash drive, made of aluminum alloy; this drive can easily resist getting crushed. 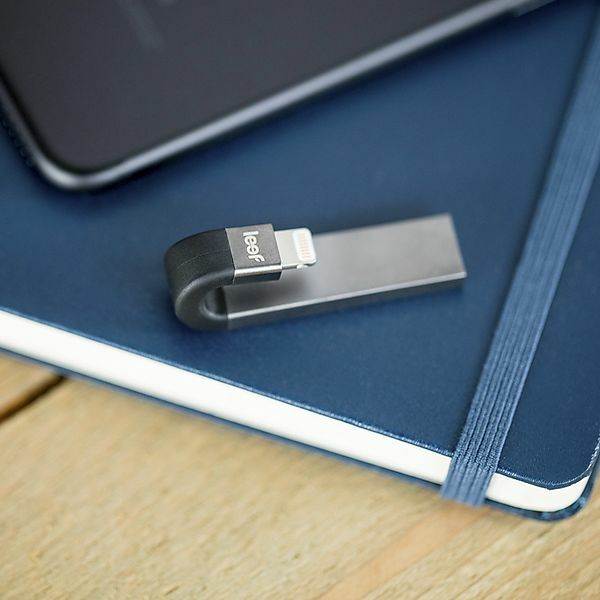 A suitable flash drive that allows you to transfer files at an incredibly fast rate, then HooToo is what you need to enjoy a necessary dose of storage. With a data transfer rate at 80MBps reading and 30MBps, welcome to the future of seamless transfer. 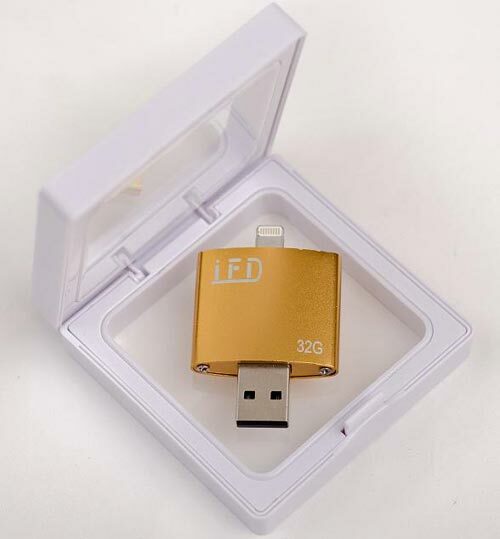 Supporting large files transfer up to 4GB, it enjoys the use of USB 3.0 files transfer speed. 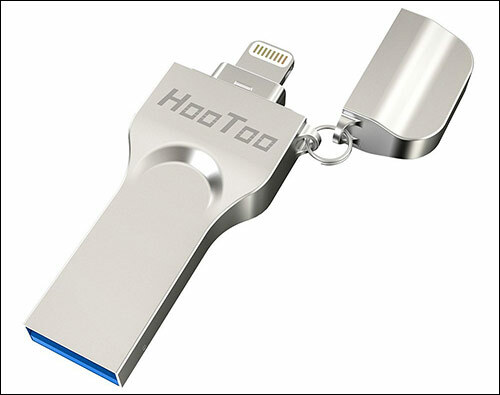 Coupled with iPlugmate flash drive app, HooToo supports a wide range of files formats. With ranging spaces of 64GB and 128GB, it has an extended connector (4mm) that ensures it fits into most cases. It also enjoys an iOS certified lightning connector. At the time of writing, it costs $58.88 on Amazon. The ideal management of files and compact organization is what Crater i-flash disk offers. With Crater i-flash disk, you can enjoy ease of use with the ability to create, edit, rename and delete files. Supporting as much as almost all files format, users can easily enjoy media available on the flash drive. File formats the drive works with includes: .mp3, fly, rvm, jpg and PNG. Directly from external memories, you can easily playback your music and videos. Supporting video formats up to 1080p, the flash disk allows users to enjoy best quality. At the time of writing, it costs $69.99 on Amazon. Looking for a drive that is reliable and fast? Omars is the flash drive to beat. Omars flash drive is a terrific speedster in the age of flash drives. With data transfer up to 80MBps reading and 35MBps writing, Omars ranks top of the game. With just a click, you can back up your entire contact list. This is due to its versatile support of several file formats. These include txt, PDF, docx, mp3, mp4 and so on. Manned with the standard USB 3.0 and a Lightning connector, data transfer is a walkover for Omars. You can easily share, transfer and store files on your Mac or iPhone and iPad. With available spaces of 32GB and 64GB, this accessory comes handy when in need of space quickly. It however has an issue. Since plastic protectors aren’t attached to the drive, you might easily lose the nuts. However, other than that Omars is a bang for your buck. Combining convenience and functionality, iDisk is your versatile drive. Transfer of just any file format is made as easy and convenient as cheese. Its aluminum build gives it a sleek design. The drive comes with an app that allows users to directly save files straight to the drive. It also allows the instant shooting of videos. Security is not an issue with iDisk sporting a Touch ID or passcode. This drive enjoys compatibility with all iPhones and iPads of version 8 and above. With ranging sizes of 32GB to 128GB, this masterpiece enjoys top speed transfer rate. This beauty costs $39.95. What better name fits this drive? Powerful in transfer speed, this flash drive provides the complete solution to every of your space problems and quickly. It offers streaming of files of any format as quick as possible. With a flexible cord that allows it to fit into any case, you needn’t bother about your bulky case. With the drive, you can manage photos, music, videos and documents effectively. 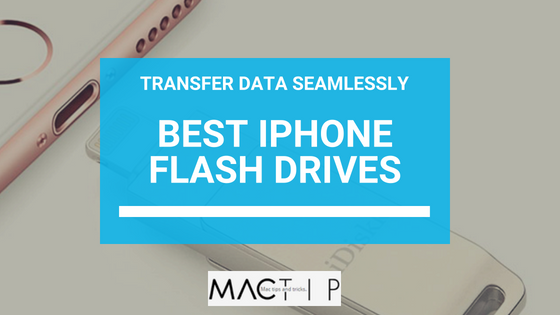 Equipped to properly transfer files, it works for all iOS supported devices, Mac and flash drives at an exquisite top speed. With its SD card support, it allows direct share of pictures to social media. At the time of writing, it costs $41.99 on Amazon. GMYLE is a little above a normal user use, it’s superior and advanced compared to other flash drive. With its file encryption process, your files enjoy the most of all security. 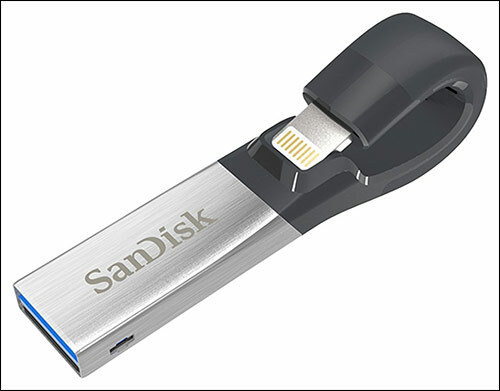 Like most iPhone/iPad flash drive, it allows direct transfer between iPhones, iPad and computers with ease and speed. It supports videos of most formats directly from the drive. Available in 32GB and 128GB, it costs $36.98 and $82.98 respectively. Who doesn’t remember Bolt as the fastest man ever? With a speed of 118 MBps reading and 32 MBps write, we might just find a drive as fast as the fastest man ever. Not fanciful in design, its aluminum body you can enjoy its powerful speed for a long time. Available in capacities ranging from. 32GB to 128GB. If you’re unconcerned by technology, then Bolt is what you need. Allowing users to transfer files up to 4GB (lesser is the safer side), you can easily back up your contact list easily. It enjoys top notch security with the Touch ID. Coupled with the iDisk pro app, convenient management of files is prioritized. Available in capacities ranging from 16GB to 32GB. At time of writing, it costs $59.99. The Leef is a ‘high powered flash accessory”. Providing very fast transfer rate, it also supports a single click backup. It also features security that gives an option to lock drive either with a pass code or touch ID. You can also directly snap and save pictures on your drive without occupying space on your iPhone or iPad. Compatible with any iOS supported device, Windows and Mac. Security: Do not buy a cheap flash drive that doesn’t promise adequate security. Your files should be accessible to just you alone. 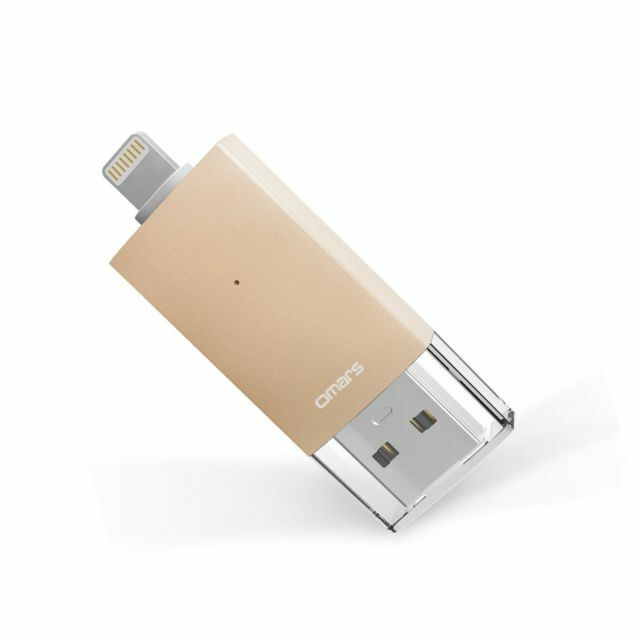 Standard lightning connector: This offers you the opportunity to transfer files and take them along wherever you go. You might want to consider this a necessity for a good flash drive. Expandable spaces: There will always be a need for additional spaces. If a flash drive doesn’t fit into your space needs, do not buy even if it is fanciful and very durable. Speed: Cloud transfer requires very good connection. If a flash drive cannot rival cloud transfer, move over to the next drive. Dependence on your iPhone and iPad to store your images and videos is good. What is better than good? It’s the best. You can’t probably store all of life important moments on a space of 32GB, you need a backup. Although in recent times, Apple has worked hard to increase size of space in their devices, it still doesn’t really compensate. With no slot for a memory card, you can effectively use any of the above-mentioned flash drive. You’ll enjoy durability, speed and efficiency.